Three-stone diamond jewelry is the perfect way to express your love for her, and is available in rings, pendants and earrings. The three diamonds signify the three stages of your life together - your PAST, your PRESENT and your FUTURE. 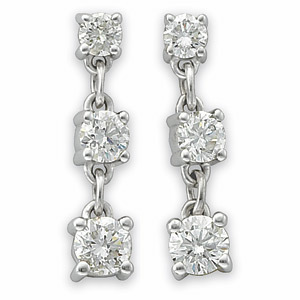 You're telling her that you’re together forever, signified by the perfect diamond gift.